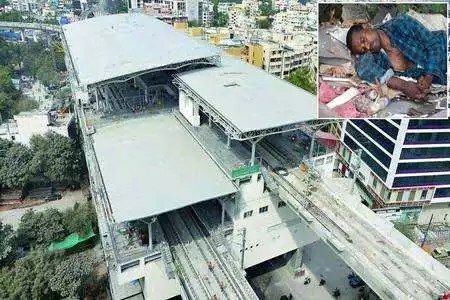 An unidentified man committed suicide by jumping from a Metro station in Hyderabad on Thursday, police said. The incident occurred at Ameerpet Metro Station where he jumped down from the first floor of the station. He sustained head injuries and died on the spot, according to the police. This is the second such incident at Metro station this week. A woman had jumped from Victoria Memorial Metro Station on Tuesday. She, however, survived with injuries. Police investigations revealed that she had attempted suicide due to domestic problems.